Be careful with the trailing slash at the end. This slash is NECESSARY. When I tried to point to the src directory of my Project it did not work, but if it points to the bin directory it worked fine. After switching my Workspace from Windows to Linux, I had to reconfigure the build-Path for each Eclipse project separately. 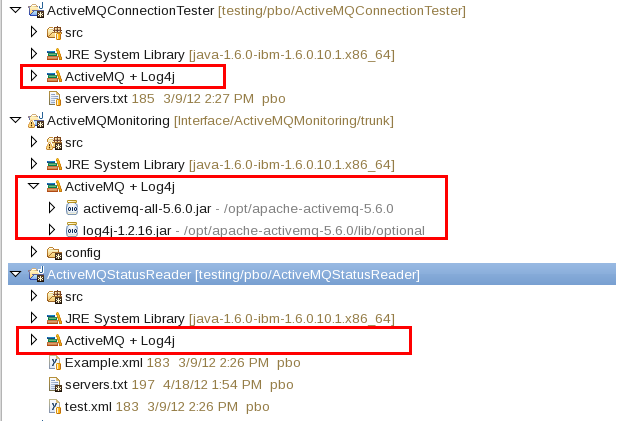 This was a lot of work, so I took a look on how to manage build path libraries easily. 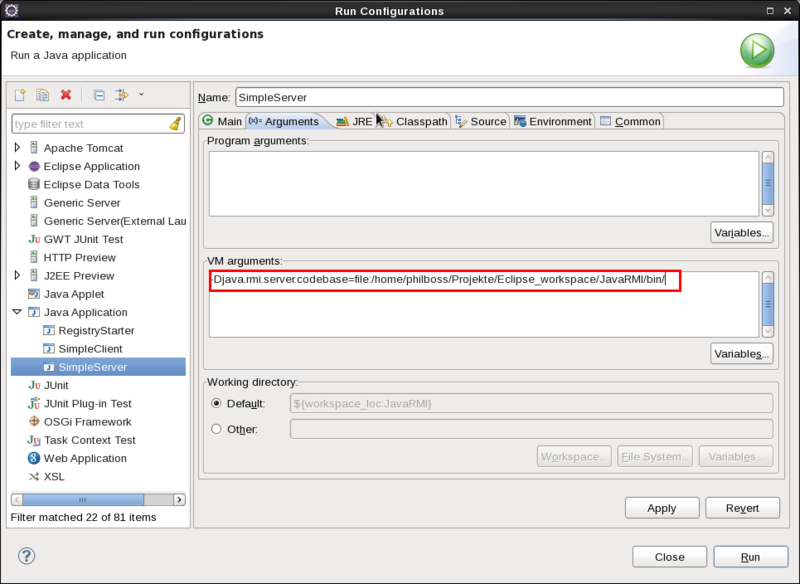 Eclipse ships a great solution for that, called „User Libraries“. To solve that, I had to reconfigure the build Path for all of my Projects in order to make them working. 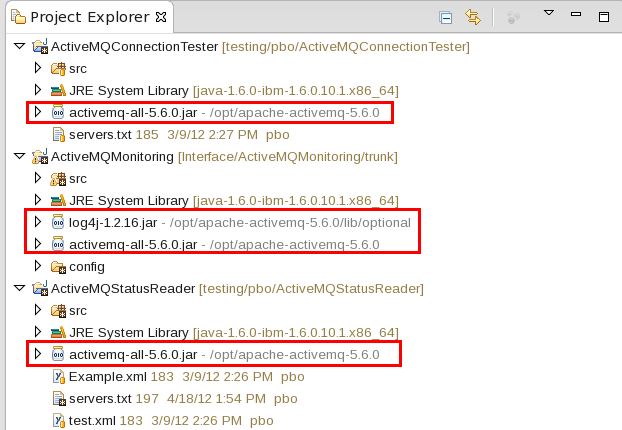 This is a lot of work and if you want to upgrade your required Libraries (in this case you want to upgrade from ActiveMQ 5.4.3 to ActiveMQ 5.6.1) you have again to reconfigure all Build Paths that require that jar-File. To avoid that, I decided to use User Libraries. How is it working? 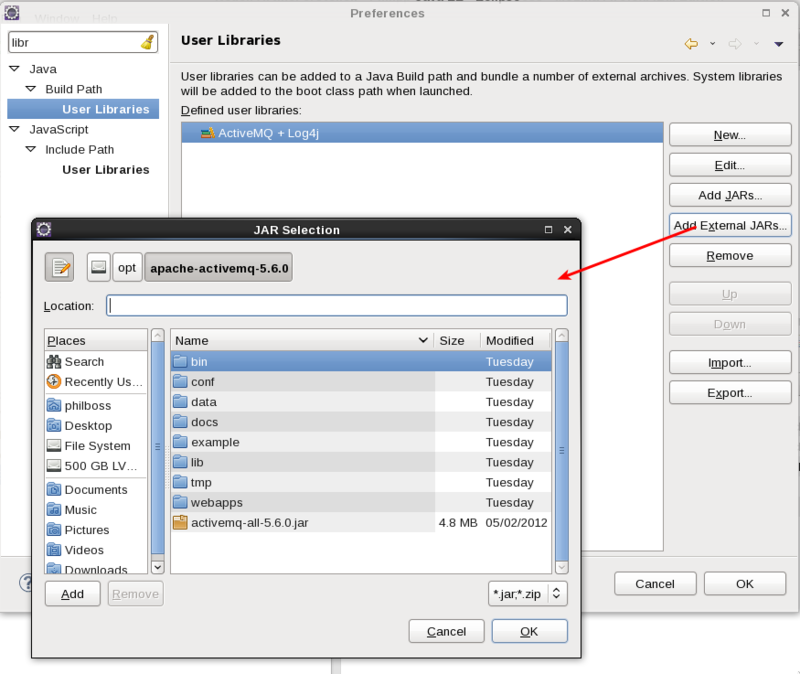 You can create your own libraries in which you can put several jar files (or classes). Then you have to reconfigure your build path in the projects to use the user libraries instead of the single jar files. 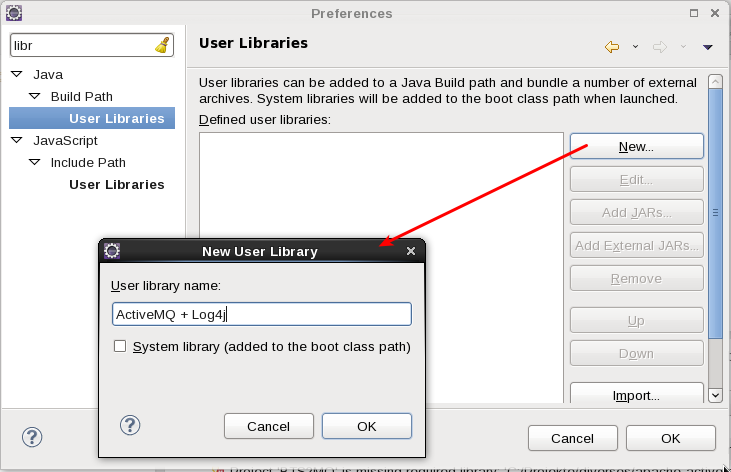 If you now upgrade your Jar file (for Example ActiveMQ) you only have to modify your user library instead of all your project build paths.